On a web search read this news : ‘Deputy Commissioner under section 144 Cr.PC has imposed ban on plying of unregistered without number plates motorcycles as well as on driving without wearing helmets by the motorcyclists.’ Anyone found violating this order shall be proceeded against under section 188 …… As you go to any city and travel on the main roads, you see so many automobiles and certain to see lot of two-wheelers…. Some are macho machines but most offer easier commutation between workplace and home and bought because they are economical. 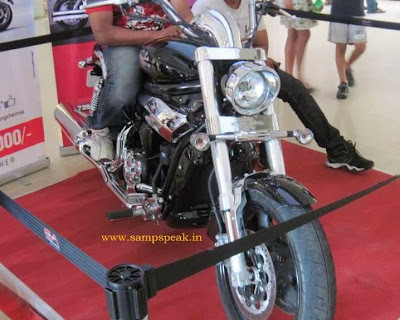 The middle class Indians want more value for their money – cannot afford to buy, maintain and travel by car and hence most travel by two wheelers …… the world of mopeds, scooters and motor-cycles – things have changed a lot, I must say !! A motorcycle by definition could include two or even 3 wheeled vehicles used for varied purposes and could include scooters, mopeds, motorized bicycles and the like. By some yardstick, on a bike you sit as one would straddle a horse ~ on a scooter, you sit with legs firmly planted on the floor bird. Scooters have smaller wheels and smaller engines….. in motor cycles the power is conveyed from engine to drive by way of chain – where as scooters are shaft driven………. Now you have so many varieties of motorcycles (scooters and moped) on road – and with recent emission norms, no two-stroke engines are on road. Vespa, Bajaj, Lamby are out of the market with Honda Activa, TVS Pep, Mahindra, Pleasure and the like ruling the roost. Maruti 800 was to afford the middle class the reach and Tata Nano was to be 1 lakh car………..but there are two-wheelers which cost more than some most bought cars on road. In mid 1980s Japanese collaboration stormed the market and we saw Suzuki, Kawasaki, Honda, Yamaha (British) and the like entering the segment with Indian collaboration. In between there have been sport bikes and some beasts like - Confederate X 132 Hellcat – on which I had posted earlier..
Do you know that Koreans also have entered 2 wheeler market (in car segment already Hyundai is doing well) - Korean motorcycle manufacturer Hyosung now owned by S&T Motors has ventured into the middleweight motorcycle space in India with its Indian partner Garware Motors to cater to the enthusiast buyers. 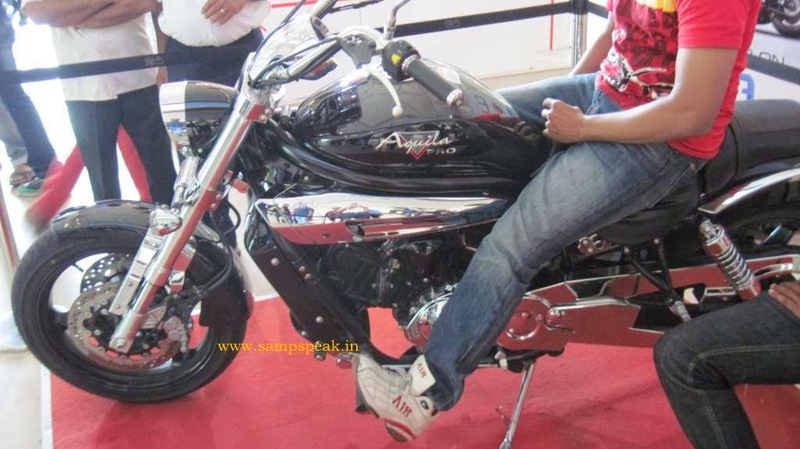 Hyosung has 5 Bikes models available in India. The available models are Hyosung, Hyosung GD, Hyosung GV250, Hyosung Gt, Hyosung ST7, Hyosung GV650, . 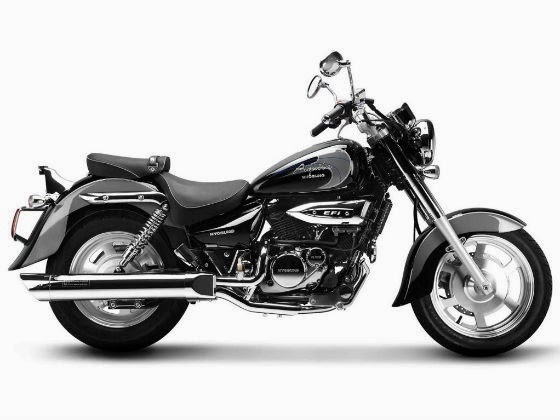 The minimum priced model of Hyosung is Hyosung GD priced at Rs 110000. The other day happened to see one new vehicle at EA mall in Chennai ….named ‘Aquila’… Aquila is a constellation in the northern sky. Its name is Latin for 'eagle' and it represents the bird who carried Zeus/Jupiter's thunderbolts in Greco-Roman mythology. Aquila is a bird in the genus of true eagles. Understand that Hyosung bikes were launched in India by Garware about a couple of years ago ….the initial launches were GT650R, a focused sports bike, and ST 7, a bike specifically targeted as a cruiser. The one seen at Express Avenue Mall is ‘4 stroke; 8 valve, 647 cc water cooled engine; with a mass of 240 kg – priced at around Rs.6.50 lakhs….. whether one would buy a 2 wheeler at the price more than that of standard cars on road is no Q – as there is easy market for such bikes. The news of ban in plying unregistered vehicles without number plates and compulsory wearing of helmets pertains to Peshavar and it read that violators would be proceeded against under Sec 188 PPC.